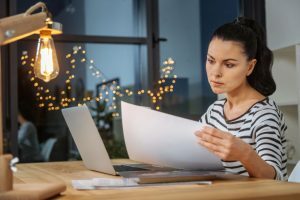 Home / Uncategorised / Compliance is not always painful….. Compliance is not always painful….. I trained many years ago in Killybegs Hotel School (Donegal- Wild Atlantic Way) and was told then if we “cleaned as we go we never had to go and clean” and this I have found to be true over the past 20 years on the many funded projects/programmes I have worked on. Help we did and even when we agreed to do an audit for an enviable, uber organised project that had every duck in a row, we found out quickly that getting out and about was not their strong point, NO external activity had happened in 8 months of a 12-month project, oh boy did we have to get the little black book of facilitators out and get an event calendar set up and booked out, we do what you need us to do, where possible. So this is why I say compliance is not always painful, it’s a paper trail of your activity, matched to your letter of offer, project plan or contract and activity. What does seem to be painful and makes compliance almost impossible is the way projects utilise their main resource, their people, coming in all shapes and sizes. It’s your; board, manager, administrators, delivery team, freelancers and contractors and of course your customers, client companies and suppliers. On paper, this all looks good when you add action, the doing… it all can come unstuck. Virtual support has been recognised worldwide as the best way to keep projects on track, that extra pair of eyes for you to utilise when you need it, pulling in the support in the area of specific need for your project, Vaultproof does this for you when you need it. At Vaultproof we have a team of 13 professionals (over 400 years of experience 😉 ) who work with projects to iron out any glitches from building and managing a board, activity planning, budgeting and delivery, recruitment, GDPR, validation, evaluation, and monitoring. 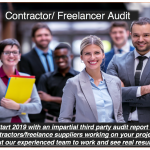 In addition to virtual support personnel we can provide, you can also rely on Vaultproof to recruit your freelancers/contractors and validate their credentials, we can digitise and clean your project data, put your compliance documentation in place and hand over in your own self-manageable, self-branded digital platform or in secure files to be added to your own software. If you need our assistance, just bounce us a quick message and we can have a chat, work out what you need, it doesn’t cost anything to have a chat and you may not even need anything just a pair of unbiased eyes/ears to clarify an issue for you. Remember we have a pro-bono audit up for grabs to be completed in January, it could be your project!